This is one major project you should not put in the back burner, it’s really time for all of us to create a Family Emergency Binder. This is also known as a Grab and Go Binder which is an important binder to help your family plan for an emergency should one arise. 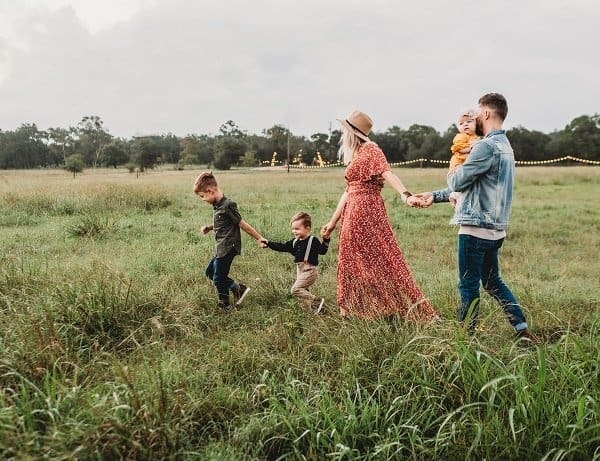 Creating an emergency family binder will ensure my family is able to get through any crisis easy without wasting precious time looking for important information and or important documentation. Right now I have a family box which dabs as a family emergency binder, but it needs to be sorted out more strategically and we need to find an ideal location to put it. If you do not have a family emergency binder like me, its time to get started. Along with creating a few amazing New Year’s Resolutions, I decided to also prepare my small and growing family with a binder that will contain all important information in case of a fire, death or loss of paperwork. 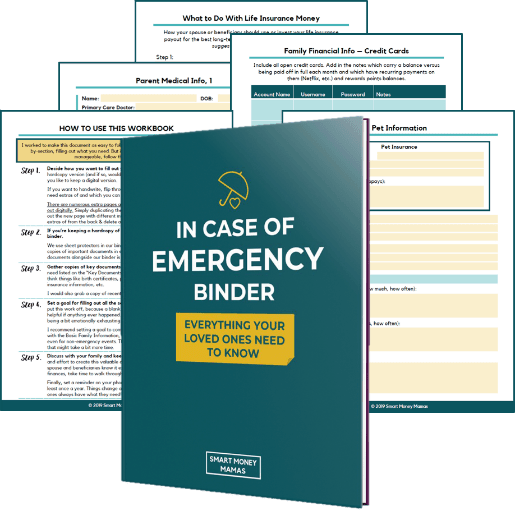 Before we get started on how to create an in case of an emergency family binder, we did want you to follow us on Facebook for more awesome ideas on saving or making more money. You can also follow us on Instagram for more tips. 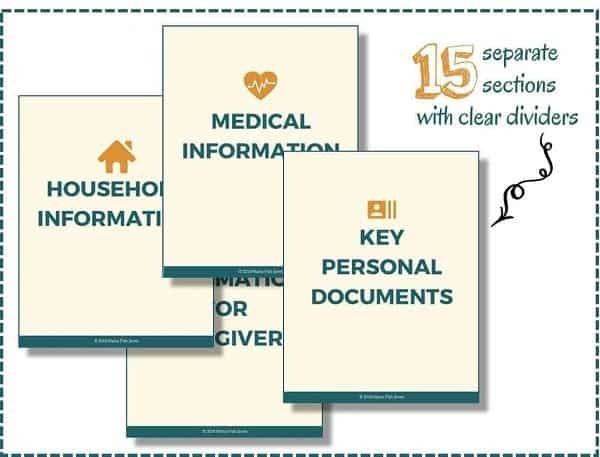 An Emergency Binder or a go and grab is a binder or a folder that has important information about everyone in the family. This includes important things everyone should know about in case an emergency suddenly strikes. Life is completely unpredictable and this only means that you should be as prepared as possible in case anything should happen. 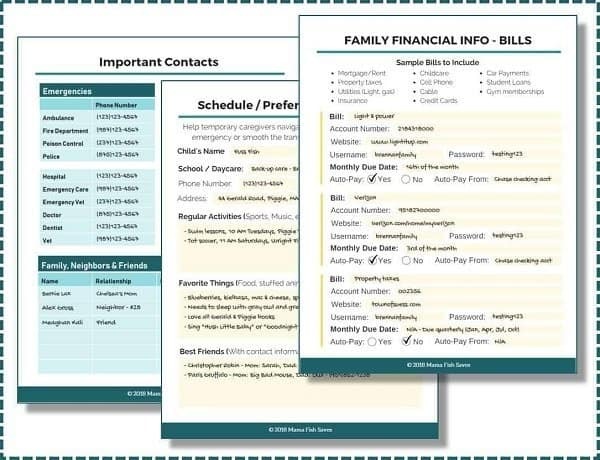 Ideally, you want to have all your important family documentation all in one spot making it easy for you to grab and quickly leave if they are an emergencies. Do you need an Emergency Binder? They are several reasons why you would want to create this detailed binder and one reason is in case of an emergency. The binder should be designed in such a way that you can carry it and go also known as a grab and go. Fire – I know a friend of mine that had an unexpected fire where she lost almost everything. With an emergency binder in place, she could have saved important documents instead of finding and sourcing for them later. Loss of Wallet or Documents – My partner is notorious for losing his wallet. With this binder, we were able to make copies of our driving license, IDs, Social Insurance numbers and more. It made getting replacements so much easier. Medical Information – Since having my first baby, I was diagnosed with a serious on going medical condition. This means I have to take medication for life to function. When I do get too sick and we have to go to the hospital, my partner quickly grabs my medical history from the binder and provides this at the hospital – It has all my medication information, history of other appointments and so on. Important Numbers – This includes next of kin, who to contact immediately following an emergency, Insurance policy numbers (medical, car, life etc.) and any other number that will benefit your family following this moment of crisis. Photos – Have pictures of important items in your home in a safe place. This is usually a good idea especially when you have to prove you had these items if they need to be replaced. Only take pictures of big things and very important things – TVs, Couches, Beds, laptops, jewelry and electronics. If you have receipts great, if not the photos will do. Keep this in your emergency binder. We highly recommend you create a family emergency binder in case something were ever to happen. This gives me a really sense of peace that my family will not struggle or stress looking for these important documents in case something does happen to me, or to my partner. I personally used Chelsea’s instructions to create the In Case of Emergency Binder for my family. The workbook comes with over a 100+ page PDF that you can fill. We highly suggest you do the same if you are not a creative person like me. What is Included in the Workbook? The binder was created and came about after interviewing over 30 experts such as doctors, estate attorneys, military members and more. The 100 + page PDF includes all the important document you might need in case of an emergency. I will give you a real life situation on why we decided to create one. My partner’s best friend passed away suddenly over 2 years ago. He was young, healthy and enjoying life like all of us. Then one day, he collapsed and passed away almost suddenly after his normal gym work out routine. When we were ready to make the burial arrangements, we asked his then girlfriend to give us his life insurance we all knew he had. We decided to help in looking for it as she was still really shocked and emotional. I remember spending over 3 hours each day for the next 4 days trying to find this document. When we contacted the insurance company, we were told the insurance was terminated over 4 months earlier. What? At this horrible time, the family barely having enough money, were left to start a fund me page to raise money for the funeral expenses. Everything worked out at the end, but it was a stressful time. We needed to guess which insurance company he was with, provide information we had no access too, only to find out he did not have insurance to begin with. If he had this “in case of an emergency binder“, it would have saved us a lot of pain. Going through this very painful process, got me thinking of creating something that my family could use in case something like that ever happened. That’s why a few years later, I strongly made the decision of getting and starting an in case of emergency binder. What Should You Include in An Emergency Binder? This section covers important information should one person die in the family. I have also given my parents the binder when I have left my daughter there for a few days. I have also passed on this binder to my parents when our family goes on vacation. This way if anything were to ever happen to us, they have this. Vise versa, my parents also passes on their binder to us when they are away on a trip. They also include a little note of where they will be staying, flight information, contact at location and so on. This binder will organize your life and leave you with a sense of security. Try to update the binder once a year to keep the information current. Also try to update it when you have huge changes in your life like a new baby, a purchase of new property and or change of information such as new employment. Is the Workbook a Good Investment? In my opinion, the workbook was a great investment for me. I used the binder with my partner and we had a great time filling it in. You can probably find all the information included in the “In Case of Emergency Binder” online or even customize and make your own. However, I did not have the time for it and especially once I had a baby and I was diagnosed, my time almost vanished. Yet I knew I needed to make this binder immediately and it was important that I completed it. I am very protective over my family and safety and security comes first at all times. We hope you take the steps to start building your family binder today. It really does help. Grab your in case of an emergency binder workbook today and use the guide to create your family binder. We want to hear about it in the comments. Share your thoughts and share the message to help others too. Do you have an emergency binder? Why or why not? If you are looking for other amazing lifestyle tips, find them here! I have one but need to update it. Because I live in the Midwest I also keep a folder with pertinent information in a storage tub in our storm shelter. That way I don’t have to remember to grab it during a tornado warning. Never thought of this but totally need to get one started! This very important. Every family should have an emergency binder. What a great idea, we definitely need to put an emergency binder together.